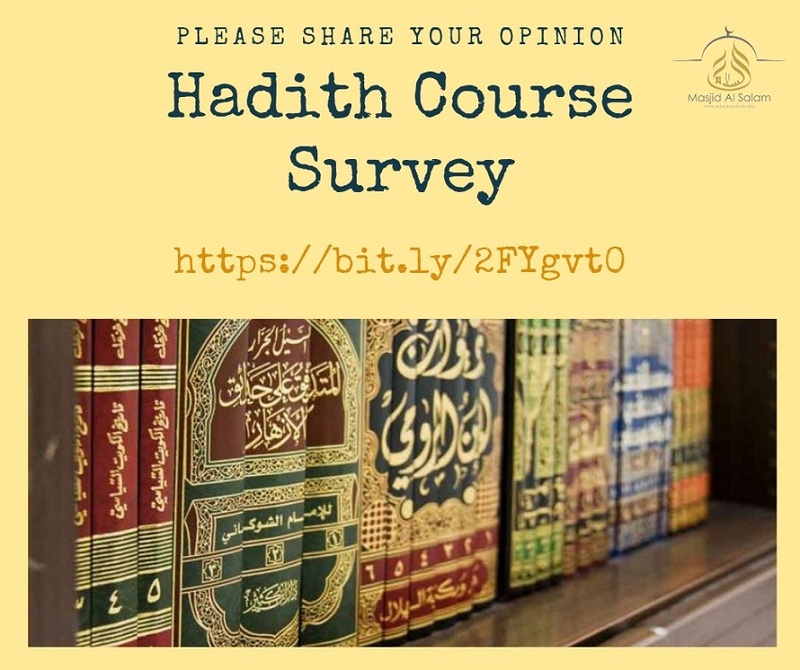 The Masjid AlSalam Education Committee is considering offering a comprehensive Hadith study course and would like to survey the community for their interest in such a program. Would you kindly spend a few moments of your time to complete the survey whose link is shown? If there is sufficient interest in this program we will advertise the specific details and logistics in the near future.